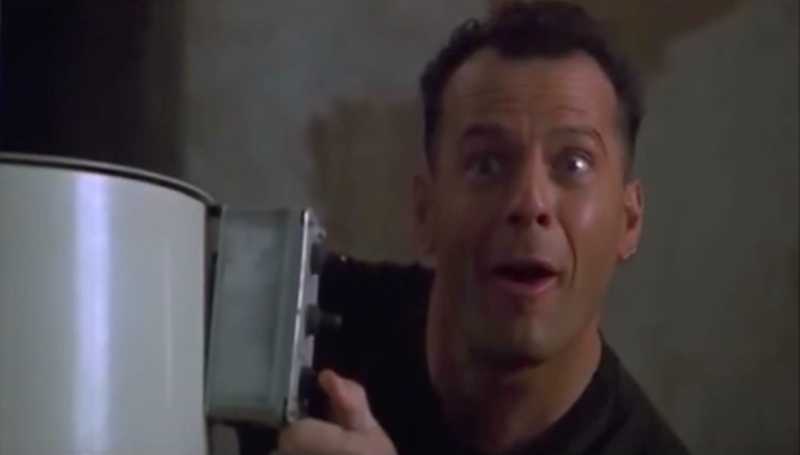 It’s been a while since we heard anything about the next Die Hard film, possibly because all anyone knew back in 2015 was that Live Free Or Die Hard director Len Wiseman and Bruce Willis were developing a crappy-sounding Die Hard 6, and everyone around them hoped they’d just forget and go play golf or something. Well, they didn’t, and now new details are emerging, none of which are doing anything to assuage the ominous sense of foreboding about Die Hard: The Legend Of Curly’s Gold or whatever the final title ends up being. /Film reports Wiseman is still very involved in developing the sixth installment of the franchise, with the working title Die Hard: Year One, a name which implies John McClane began dying hard at a young age, turning him into exactly the kind of unstoppable badass he was not in the first movie, because logic is for Russian terrorists, not cops. Speaking to Wiseman during an event for Fox’s The Gifted at the Television Critics Association press tour (Wiseman directed the pilot episode), he elaborated on some of the details for the upcoming project. As we first learned and lamented three years ago, the story will indeed go back in forth in time between the present day McClane and his younger counterpart—“working in parallel, cutting back and forth, what we see in the ’70s has ramifications on present day Bruce,” as Wiseman explains. Willis will be working with Wiseman to help select the actor to play his younger counterpart, who perhaps remains un-cast because Joseph Gordon-Levitt quietly slipped out the back door as soon as he heard they were looking. The main piece of information Wiseman revealed is that the character of Holly Gennero—McClane’s love interest in the first two films and unseen mother of his kids in the last two—will return to the story, as a part of the ’70s-set half of the movie. Presumably, that means Bonnie Bedelia will not be reprising the role, which is too bad, because the film would probably be a lot more interesting if they just had her and Willis play their twenty-something selves, with no de-aging CGI or even makeup. However, Wiseman didn’t rule out Bedelia making an appearance as part of a present-day reunion. No dates. I’ve been asked about dates before and I’m always wrong. The date is when the script is right, which is when we all want to go. The script has taken quite a long time. I want it to be right, as everybody does. The truth is we started prepping Live Free or Die Hard when the script was not ready. That process of working on the script as we were shooting the movie is not the funnest thing in the world to do. We pulled it together but nobody wants to go through that again. There’s still a chance this could be a great movie. We’re all hoping for that. Unfortunately, there’s a much better chance this will turn out like something cooked up by Bruce Willis and the director of Live Free Or Die Hard. Yippee-sigh-yay, motherfuckers.